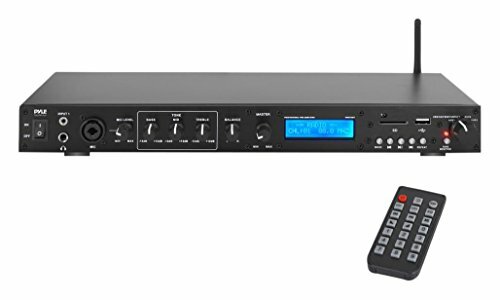 This pro digital rack-mount preamplifier features FM radio and Bluetooth connectivity. Unique recording mode that saves audio via USB/SD Port. This rack mount pre-amp has multi-source RCA (L/R) audio input and output connectors with microphone input jack and 2 XLR audio output jacks. Also, an FM antenna for better signal reception. Includes a fully functional remote control. This unit runs on switchable 110/240V. Pyle has been in business for over 35 years, and their manufacturing experience and expertise is easy to see - and hear.